The GIARA table lamp stands out thanks to its elegant design in an antique style. 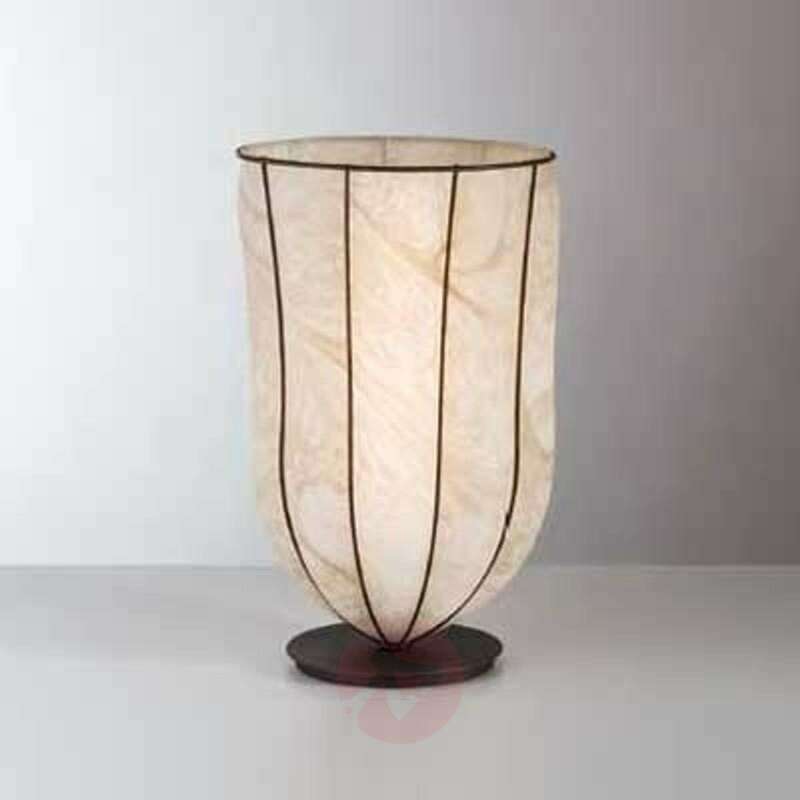 The hand-blown glass lampshade is shaped like a flower and rises up from the round metal base. The glass surface comes in a brown-beige alabaster finish and represents a real eye-catcher. It creates a fabulous contrast with the black metal rods. The light emitted by the GIARA table lamp illuminates the surroundings indirectly to create a cosy ambience suitable for different rooms and interior styles. 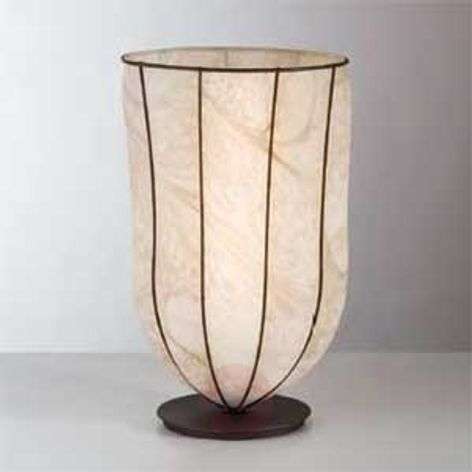 The lamp is perfect in the living room or as a bedside table lamp. 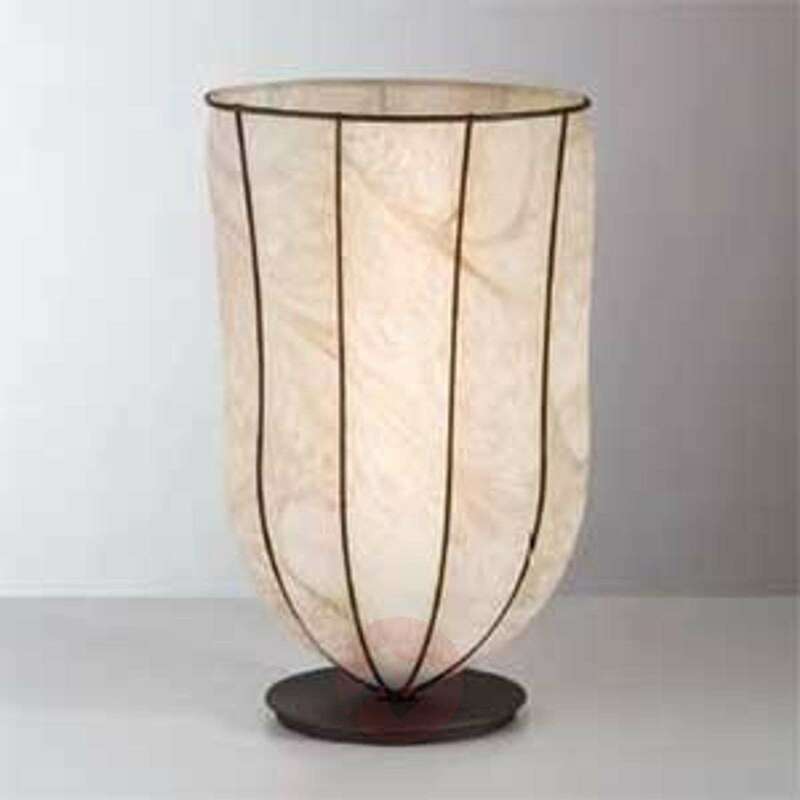 The lights produced by this manufacturer are handmade in Italy from stainless steel and glass. Each product represents an individually created piece. Slight deviations in the colour of the material are a result of the careful handmade quality of the product.